I have come to the conclusion that I like to spend money a little too much. I don't think that I have like a shopping addiction or anything; for example, I always make sure there's a decent amount of money in my bank account in case of an emergency. But I've started to realize that when I'm bored the things that I do to entertain myself usually cost money, especially when I'm at school. When I was bored after a long day of classes at college I'd usually treat myself to some off-campus food, and oftentimes I'd go shopping. While I am usually a bargain shopper and don't usually buy things on full price, I think I bought a lot of stuff last year that I didn't really need at all, and I'm starting to see that trend follow me this summer. For example, last week my mom and I went to the outlets in Freeport, Maine (home of L.L. Bean for those who didn't know). While up there I had wanted to buy another pair of shorts, because one of my summer jobs is casual attire since it's outdoors and working with kids. We have uniform t-shirts but I was worried that I didn't have enough shorts. We went to J. Crew, and I got distracted and ending up buying a whole new outfit and then realizing at the cashier that with the amount of money I'd spent I didn't want to spend anymore buying shorts, which was the thing I went there for! I spent a lot of money during my freshman year, and although I'm working more this summer then I did last year I realize that I need to get serious about saving money. I'll be hopefully doing Greek life for the rest of college and that will bring more expenses, and if I'd like to go on a spring break trip next year with friends that I will probably have to cover my share of the trip. Then there's things that will come after college, such as rent and a new car (And possibly a wedding? Hey you never know!) and money for those things won't show up instantly! I'll have to have a good savings account in place to afford any of those things. And those are just the things that I want. This past year the Lord has really put on my heart the subject of tithing. I tried last semester to always have a little bit of money each week to tithe to the church I went to at school, and this summer I'd really like to make a donation to a Christian charity such as Samaritan's Purse or World Vision. My heart breaks for the people around the world who live in poverty and struggle to get by, and sometimes I feel almost sick when I think about all of the material possessions that I already have. So I've decided to to take a month long "spending money fast." I decided to start it last Wednesday, June 19th, and it will run until July 19th. That will give me a few weeks before I leave for school to purchase anything that I'll need for the coming school year. My goal is to put most of the money from my paychecks directly into my bank account. Hopefully this will allow me to re-discover some things that I already had and forgot about, and also allow me to make a positive dent in my savings. There are a few exceptions to this fast: I will still be purchasing gas for Lucy (my name for my car :-)) when I need it. The good news is that both of my summer jobs are about a five minute commute from my house, and I'm working so much in the next month that I won't have a lot of time for road trips, so I shouldn't need too many trips to the gas station. Another exception is food: the few times now that I get to see my high school friends it's usually surrounding getting lunch or dinner at a nearby restaurant since there's not a ton to do in our small beach town. With my work schedule and my friends' schedules I don't think I'll be going out to eat too much, but I want to allow myself that if the opportunity arises. And the last exception would be necessities that I need for school. I have a summer reading assignment for one of my classes, so I'll be ordering that book sooner than later. I also needed a new planner for school anyways, and a few days ago Lilly Pulitzer was having a free gift with purchse promotion, so I purchased it then. It'll be great to know that my planner will be coming in long before I leave for school too! I hope that my spending money fast will have many positive results! I can't wait to see how much money I save, and be able to donate to a charity soon. P.S. This post was actually pre-written a few days ago, and I'm writing this update the night before I post this. I would really appreciate any prayers right now for strength- my second job is proving to be not as good of a fit as I thought and the past two days with double shifts have been extremely stressful for me. I'm also having bad PMS right now, and that plus 10ish hour work days in a 90 degree Maine heatwave has made for a really hard time. I might have to soon think about leaving one of my jobs, but I'm already stressing about that because it means a lower income then I expected. But hey, I guess that corresponds perfectly to this post. This might be a way that the Lord is testing me, and if He wants me to make do with less money coming in then I need to stop placing so much importance on money. But anyways, prayers for handling my work situation would be much appreciated! It won't be perfect whether I stay or if I leave, and I'm just unsure about where to go and what to do right now. And I'm praying for you girl! Dear Lord, please give Miss ALK the strength and guidance she needs as she decides to continue working or letting one job go. Help her to trust to lean on You. While we think money may be important, we know that You are the most important in our lives with the perfect plan. I pray that you help all of us that are working this summer to not put work or money before You. Amen! Such good ideas! I have that problem too! 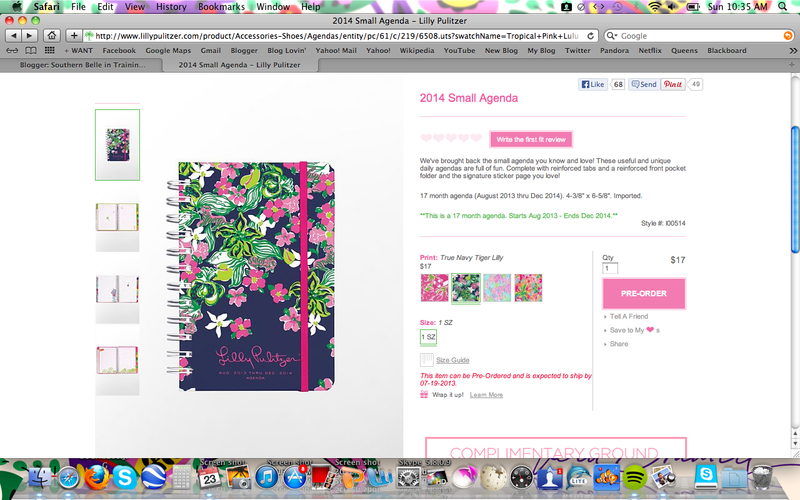 I bought the elephant Lily Pulitzer agenda and I can;t wait for it! I also named my car Lucy, I love the name! I have actually been donating money to my friend for her mission trip to Kenya! Love the spending fast idea. J and I are kinda on a non-declared spending fast. We are super careful about what we spend since most of it goes back to school loans. I'm still such a sucker at Target though. I also loved your bit about tithing. Tithing is an incredible principle that many people have no idea about. All of what we have is God's and all he asks is for 10% of that. What a gracious heavenly Father! J and I have been tithing faithfully for two years now and I am always amazed at how he blesses us financially. I truly believe that because we trust God with out finances and we give back to him what is his (and we make a small donation to our local Christian radio station ;) is the reason that I have had jobs as I needed them and even had one that paid for my tuition last year. He is so good to us when we just trust Him. So keep it up girl! He will bless your faithfulness. ..and i'll definitely be praying for your job. Don't wear yourself out. Your emotional health is as important as your physical health and you don't want to start a new school year up feeling drained. Money is never worth it. Maybe you could find a job at college that would supply some spending money? Sometimes church nurseries are looking for people for just a few hours a week. 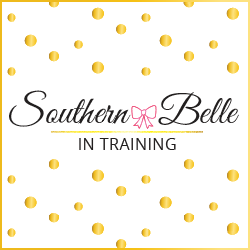 I worked all four years teaching horse lessons or working as a grader for a professor and it definitely helped me feel more secure during the school year about my finances. Wow. That was a long ramble ha. Thinking of you! This is so inspirational because my bank account hit an all time low today. $37. What even. I'm not addicted to shopping or anything, I just tend to be a little too loose with my debit card. I've definitely been more conscious about it, but I never thought about a fast. That's a great idea that I might have to try out! I totally agree I often find myself buying things I don't need at all, often spurred on by seeing things in the "blogosphere". I also think having a debit card had made me part with my money far to easily and I now try and keep as a much of my money in my savings account and only a little in my current account.